Shaded by old Oak trees, River Meadow Manor is a gastronomic gem steeped in history. Housed inside the River Meadow Manor, diners relish in a fusion of flavours created by gourmet chefs who create masterpieces and mouth-watering meals. From sumptuous food, to decadent wines and sophistication, River Meadow Manor is your sophisticated country-style dining experience. 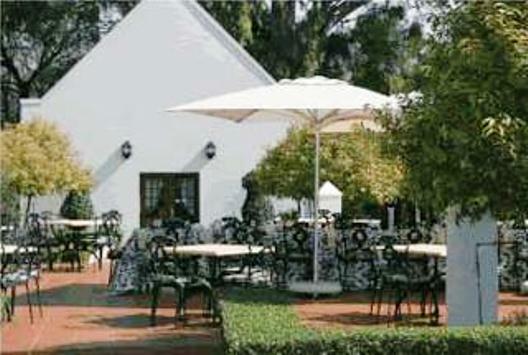 River Meadow Manor is 4.5km from the centre of Centurion , the nearest airport 6.2km (Waterkloof AFB Airport).